Age is truly never a limitation to realize and understand your true potential and to live life, the way you want to. Gomolemo and Babalo, who started their business still in their college, are undoubtedly an inspiration to every student who aspires to become an entrepreneur. Starting a business while you are still a student at a university might seem to be one of the toughest things, but experts believe that it’s the best time to actually begin and set up a business; there is also a whole lot time to experiment when you do not have someone questioning you about your career, since you’re still pursuing your education. 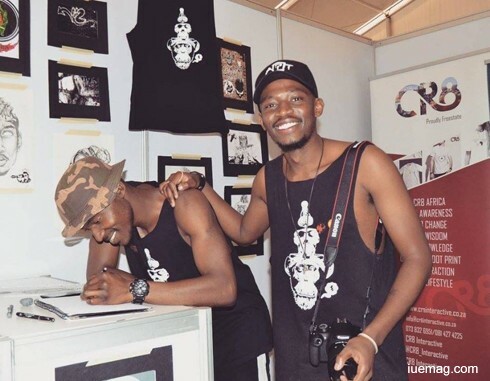 Such was a smart move by Gomolemo Morubane, who joined his friend Babalo Majodina, in setting up Mind Over Matter_Original Apparel, a creative clothing brand that promotes photography, graphic design and street fashion, rooting itself into art mostly. As graphic design students of Central University of Technology, Free State in the city of Bloemfontein, South Africa, they were both already introduced to design, but the fact that they loved the art of design, not just considering it a course, has helped these young entrepreneurs bloom into what they have become today. It was in the third year of his graphic design course that Gomolemo, who was at the time, working on establishing his own fitness apparel brand, later changed when Babalo pitched the idea of the venture and that's when the partnership was born. Both the young champions shared equal responsibilities in starting the business. At the age when most students would focus on education, plan their next higher course to pursue or probably work on improving their skills to get a better job, and a few, thinking of what business to start after college, these terrific individuals had already begun, with strong decisions to walk out of the college, not just as graduates, but as succeeding entrepreneurs, showing a way for those aspiring ones. Unlike many entrepreneurs who are said to have quit college to start a business, Gomolemo and Babalo believed that “setting up a business does not mean one cannot study.” They managed to prioritize studies during weekdays and put their heart and soul to build the brand of Mind Over Matter, during weekends. It is, for anyone, certainly hard to manage between education and an additional activity of life, while he/she also has a personal life and commitment; his/her family to take care of. “It is not an easy journey, especially when you are focusing on school and business. But we all do know that as students, we have a lot of time available to plan and make our life better. Once we step out of college, we have more responsibilities to fulfil and it becomes difficult to make a profession in the field that you are passionate about. Student life is the perfect time to start is what we believe. We are thankful to our lecturers; they have been very supportive. It has been a challenging journey but great as well” mentioned Gomolemo. It is a well-known fact that finance is a major issue when it comes to ‘students establishing a start-up.’ The partners managed to start small with a little help from family. One must remember that, at all times, hard work has the power to speak for itself and was the case with the team, whose efforts in creating designs for the apparels, began to speak for themselves. While the friends and relatives were the first set of clients, their first breakthrough was when they were referred to a client who reached to the college’s department for good designers. They finally grabbed the opportunity to head a project to design on wall partitions for a well-established South African I.T company. The project was utilized as an opportunity for many of their fellow students who joined hands in getting the best results. The project was also confirmed as the biggest independent project by their department in the Central University of Technology. The fact that they never stopped pushing themselves while still in search of opportunities, got them a bigger chance than expected. The universe has never failed to amaze us humans, through its magic of aligning opportunities when all that you do is, focus and act on your desires. 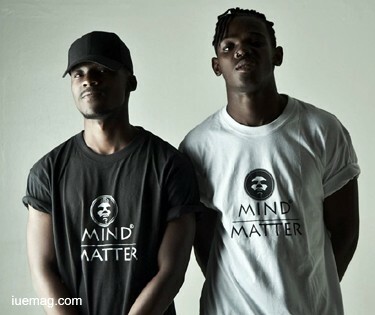 Slowly, Mind Over Matter brand began to gain recognition in more ways. While the team setup stalls at various fests, their work began to attract customers not only for the clothing line but also for their stunning designs. While the major focus has been apparels, they have gotten versatile spreading their wings to design services too. Lately, the demand for the brand has increased through its social media pages, while they have very creatively posted photographs and videos of the brand. There is a clear focus on approaching the public in an artistic and creative manner, trying to appeal to the vast majority of the public as well. The smartness in designing the apparels in ranges for each season, with exclusive and limited designs, has in fact, helped build themselves better as a brand. “This approach has sparked interest from well-known retail stores in South Africa like 'Love Warrior' and 'Cotton-On' as we've simply walked through the stores wearing our merchandise, showing how special the designs are. We are making sure that clients wear the brand with pride as we want them to feel like a walking gallery. 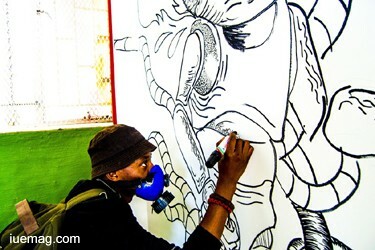 We also believe that our clothing is a canvas and the artwork always speaks for itself” says Gomolemo passionately. Being students and being able to talk with such perspectives, can only happen with a lot of experiences and continuous action. Education can never be a hurdle, if one can understand how well student-life can lay the best foundation for an entrepreneur’s journey. Nothing can ever stop you if you believe in achieving your dreams, irrespective of what your age is and what your other responsibilities are. The simple yet absolutely inspiring journey of Gomolemo and Babalo, is worth remembering when you experience a hurdle in your life. We believe and wish that ‘Mind Over Matter’ shall grow not just as a brand, but as an experience that every individual would want to have.